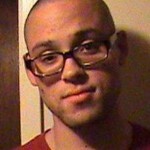 Chris Harper Mercer killed 10 people and injured more than 20 in a mass shooting at Umpqua Community College in Roseburg, Oregon, on October 1, 2015. He was killed by police at the scene. 10 people are killed by Mercer. and more than 20 others injured, in a shooting at Oregon’s Umpqua Community College. Mercer is also killed. The shooting starts in one building before the gunman moves to the school’s science building. Those killed and wounded are found in at least two classrooms. Three pistols and one rifle believed to have belonged to the suspect are recovered at the scene. A woman who claims to have a grandmother inside a writing class in Snyder Hall, where a portion the massacre unfolded, says Mercer targeted Christians. The shooter was lining people up and asking if they were Christian. If they said yes, then they were shot in the head. If they said no, or didn’t answer, they were shot in the legs. My grandma just got to my house, and she was in the room. She wasn’t shot, but she is very upset.